Don’t see emergency cases every day? Have a dog presenting to you with pale mucous membranes, a weak pulse, a heart rate of 190 bpm, and you’re not sure what to do next? Have a dyspneic cat fish-mouth breathing in front of you? This 2-hour webinar will tell you how to avoid 10 common mistakes in your emergency patients, including when to tap that dyspneic cat’s chest, when to reach for that “FAST” ultrasound, or the best time to do chest radiographs. Having practiced in the trenches of a busy inner-city emergency room to the ivory tower of academia, we've seen these mistakes made, and have made them ourselves!. This webinar was delivered Monday, August 26, 2013, 7– 9 pm EST (6 – 8 pm CST; 5 - 7 pm MST). Were you unable to attend that time? 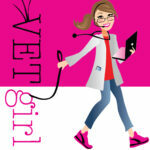 If you’re a VETgirl ELITE member, know that you have flexibility to view any of our webinars when you have time. All the webinars are recorded and can be viewed after their release date for CE credit. If you're watching the recording later on, don’t forget to take the CE quiz with it when you’re done to get your CE certificate! After I listened the webinar and answered all the questions correctly, I didn’t receive a link to download my certificate. How can we solve this? Immediately following successful quiz completion, a “print certificate” button appears. There is also (as listed in the FAQ section – http://vetgirlontherun.com/faq/) a menu item, “My Quizzes” found under your My Account toolbar which will list all of your successfully completed quizzes to view or print at a later time. Wonderfully relevant info. in this webinar.